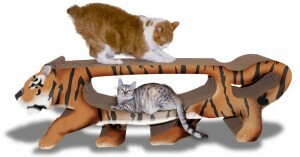 Provide your cat with an appropriate scratching post. – Since your cat brings you so much joy, you decide to buy her the softest, prettiest and most luxurious cat scratching post you can find. .